A crutial part of the Diageo alcoholic beverage company, Zacapa Rum is often regarded as one of the finest rums in the world. Zacapa is well known for their aging and blended process in the ‘House Above the Clouds’, 2300m above sea level. It is said that the cool mountain air slows aging, allowing Zacapa time to rest and develop character. 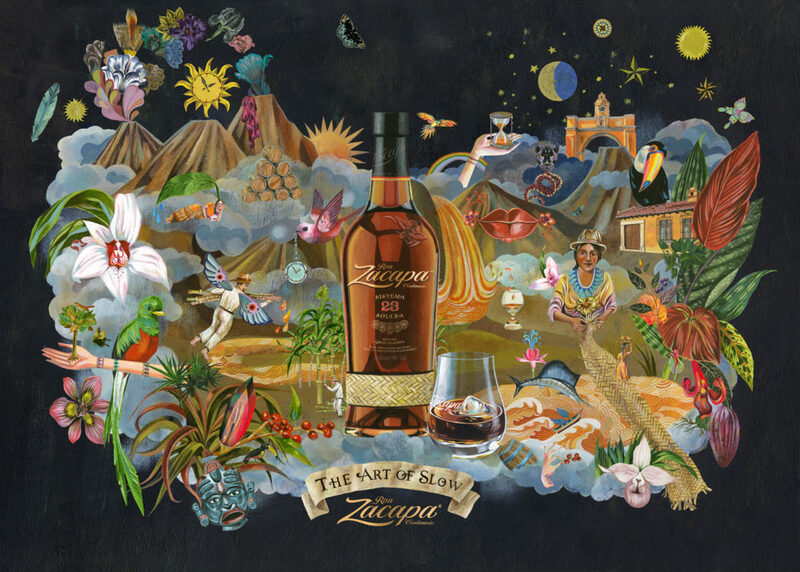 Zacapa Rum has focused its work around the concept called ‘The Art Of Slow’. More info here. AWB is the strategic and creative PR partner for Zacapa. We work with developing new ideas and concepts to strengthen the brand across Sweden and Denmark, including the ‘The Art Of Slow’ series. This past spring we crafted and launched the campaign entitled Nuet and are now in the middle of the second round of the series. Zacapa Rum is often regarded as one of the finest rums in the world. Zacapa is well known for their aging and blended process in the ‘House Above the Clouds’, 2 300 m above sea level. Dinner time has traditionally meant an opportunity to slow down and talk to friends or family while enjoying tasty food and drinks. However, in a world where many people use their phones over 300 times a day, we have become more and more visually driven, often at the cost of our other senses. People are more often rushing through their meals, or putting their focus on taking photos of the food to. 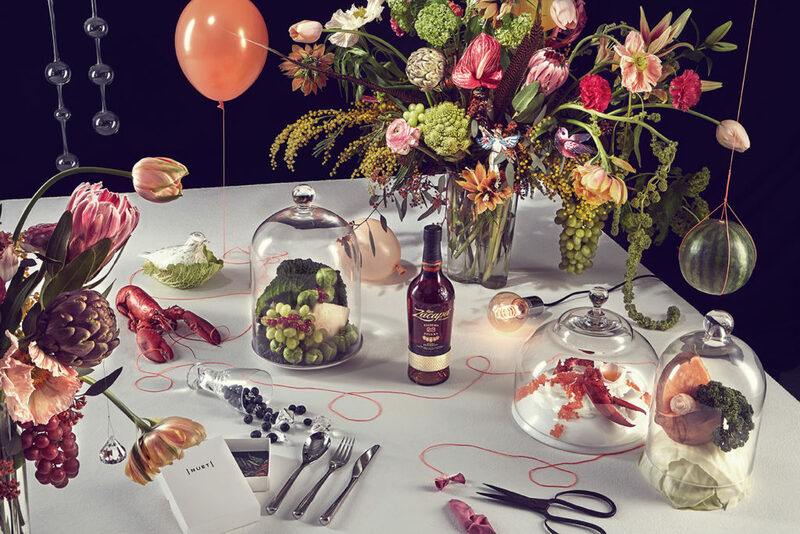 In order to give the guests an opportunity to be present and to appreciate what surrounds them, we teamed up with Zacapa to create the concept ‘Nuet’, an experience to enhance ‘The Art of Slow’. The concept was executed as a pop-up restaurant where no phones or digital devices were allowed, enabling live conversations without interruptions. ‘Nuet’ visited five restaurants in five different cities – Stockholm, Linköping and Gothenburg in Sweden and Copenhagen and Århus in Denmark. The take-over dinner concept was put together with Edin Dzemat, the winner of ‘Kockarnas kamp’ and world class bartender Jonas Brandenborg Andersen. Together the two created a menu with many unexpected components. To top off the unique experience, the guests weren’t given specific information on what the dishes were until the meals were finished. We also invited the sommelier and taste expert Mischa Billing to be a part of the project. She was present at the dinners and shared her knowledge and tips on how we can use our senses to enjoy food and drinks in the best way. The ‘Nuet’ and ‘The Art of Slow’ concept was warmly welcomed by influencers, media and visiting guests. Over 250 people visited the pop-up restaurants during the five nights they were in operation. There were 49 articles and 104 social media posts written about the concept, which generated a total reach of over 10 million people and a PR-value of € 2 196 501 00. We’re living in a time where we are constantly online and pretty much all of our impressions are ﬁltered through screens. We’re also living in a world full of distraction, interruption and stress. Dinner time has traditionally meant an opportunity to slow down and talk to our loved ones while enjoying a good meal. However, in a world where many people use their phones over 300 times a day, it can be hard to stay in the moment. People rush through their meals, or put their focus on taking photos of the food instead. We decided it was time to do something about this and created ”Nuet” together with Zacapa Rum. A concept to reconnect, contemplate and stimulate all your senses. An experience to celebrate ”The art of slow”. Together with top chef Edin Dzemat and some of the world’s best bartenders we created a ”here and now” food and drink experience, executed as a restaurant take over. The menu was carefully created in a symbiosis between the chef and the bartenders, pairing food and drinks, ﬂavors and textures, unexpected and traditional. We also invited the sommelier and taste expert Mischa Billing and the mindful eating expert Maria Helander to be a part of the project, sharing their knowledge on how we can strengthen our senses and slow down. Danish violinist Andreas Bernitt also composed music for the events to further enhance the experience. During the events no phones or digital devices were allowed, enabling people to react and interact with each other and deepen their conversations without interruptions. The guests didn’t know what dishes and drinks they were served until the full dinner experience was over. We encouraged them to be totally present and focus on the ﬂavors, textures, impressions and smells to give the act of eating the respect it deserves. The ‘Nuet’ concept was warmly welcomed by inﬂuencers, media and visiting guests. Over 350 people visited the pop-up restaurants during the seven nights they were open. There were 80 articles and 136 social media posts written about the concept, which generated a total reach of over 14,7 million people.